Starting a tea business may seem like a “someday” dream. Perhaps each time you pour yourself a cup of tea you begin thinking of what could be. It’s time to stop dreaming! Today it is easier than ever to share your passion for the liquid leaf. Tea sales are soaring around the globe. Isn’t it time you got involved? In this article, we will take an in-depth look at the opportunities within the tea industry today. The Silk Road – First, let’s start at the beginning. The tea trade can be traced back to the history of the silk road. The silk road was an ancient set of trade routes that crossed Asia. This complicated path connected Asian suppliers with buyers in the East and West. The area most known for carrying tea was called the Tea Horse Road. This Road was a network of paths which wound around the tea-laden mountains. It extended all the way to South Asia and dated back to over 2,000 years ago. Even then tea and business went hand in hand. As you can see, from the beginning tea offered many opportunities in business. From picking and packing to selling, blending and pouring. Today, things are much the same. Starting a tea business doesn’t have to be difficult. While you may love the idea of owning a tea business, you may not be ready to leave your full-time job. The good thing is, today there is no need. Direct sales companies offer consultants a chance to sell their fantastic lines of tea, teaware, and mixes for a percentage of the sale. Each direct sales company offers a different party structure and should be compared. Be sure to do your due diligence to find the right company for you. If you dream of selling your line of tea online, you are not alone. Today, the fastest growing way to sell your brand is on Amazon as an FBA seller. Fulfillment by Amazon or “FBA” allows you to ship your product to Amazon’s warehouses and have them send it directly to your customers. Using the Amazon platform, you can reach thousands of potential clients that a personal website could not draw. Do you dream of pouring tea and hosting parties? If so, you may want to consider tea catering. As a tea caterer, you provide the food for other people’s gatherings. (You may also rent the tableware.) Depending on the food preparation laws in your area of residence you may or may not need a licensed kitchen. Hosting children’s tea parties is one of the quickest ways to make money from home. As a tea party specialist, you provide costumes, activities, food and fun to children ages 4-11. With practice, you can book up to 6 parties a weekend and make a fantastic part time income while having a whole lot of fun! For more information on how to start a Children’s Tea Party business from the comfort of your home. CLICK HERE. If you enjoy gathering your friends for tea, this concept is for you. Starting a tea club allows you a chance to organize events centered around the taking of tea. From playing croquet in the park to discussing books over a hot cuppa, a tea club offers fun for everyone involved. As the coordinator, you make a percentage of every event and enjoy meeting new friends along the way. If you already own a tea room, a tea club offers the perfect way to boost your income. Ready to jump into the day to day world of owning a tea business? If so, operating a retail tea shop may be right for you. Keep in mind, owning a retail establishment is both expensive time consuming. You may want to start your business at home, build a solid clientele and then move into owning a retail store. A tea shop is a modern, gathering place that often emulates its big brother, the Coffee Shop. Tea Shops offer 30-100 types of loose leaf tea along with food and activities. A popular example of a tea shop chain is Teavana which was purchased by Starbucks in recent years. 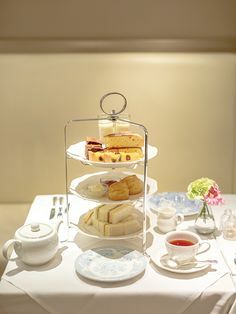 A tea room is a classic expression of traditional English tea. This may include doilies, ruffles, and flounce. It’s girly; girl design specializes in making women feel feminine while sipping tea from a bone china cup. 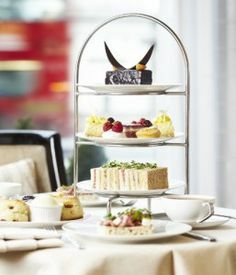 Afternoon tea on a three tier tray is the mainstay of the tearoom, and many tea rooms offer ongoing special events like Mother’s Day teas. If the retail business bores you, then owning a wholesale blending company might be for you. Tea wholesalers work with growers and buyers across the world. They import tea leaves blending them with herbs and oils to create custom flavors. It can take many years to establish stable import relationships and learn to blend to like a master. While owning a wholesale company can sound glamorous the truth is, it requires long term commitment and lots of hard work. If you love tea and words, this business may be right for you. Not every tea lover is a people lover. If you prefer to sit behind a computer quietly reflecting on your favorite drink you may want to write about tea. Today, one of the most popular fiction series is based on the world of tea. The Tea Shop Mysteries written by Laura Childs features over 17 books. If she can do it, you can too. Fiction is an opportunity that nearly any good writer can embrace using the Amazon, iBook and Nook digital platforms. If you love tea you probably always travel with the “good stuff” in your purse. Yet for some of us, traveling with tea is actually a business. If you love travel to off road places and you are good at managing details you may enjoy combining your love of the leaf with your passion for travel. Creating the perfect tea company might mean fusing a few ideas together. For instance, you could become a direct sales rep of a tea product line that you actively blogged about and offered catered events with. 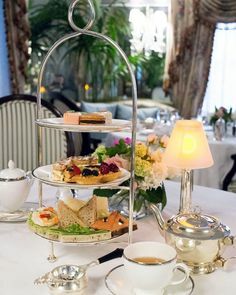 You could own a tearoom that hosts a tea club and hosts a yearly tea tour for its dedicated clientele. This article has only touched the tip of the rainbow. There are thousands of different tea related companies which you can own, operate and make your own. Still, only one is right for you. So, how do you determine where to put focus your attention. If you’ve always worked for someone else, this question may seem foreign. As an entrepreneur, you need to consider more than money. You need to look at lifestyle. How do you want to live? Would you find fulfillment in going to one location day after day and doing the same thing? If so, a shop might be an excellent fit. If on the other hand, you have several kids who you’d like to stay home with, a work from home opportunity may be a better place to start. Remember, your business can grow with you, and it may morph into something much bigger than you ever imagined. So, it’s ok to start small. If you love people owning a tea room may be a good fit. If your an introvert it could be overwhelming. When starting a tea business, it is important to know your strengths and weaknesses and choose accordingly. -What are you struggle with? We are all good at some things and bad at others. If you are bad at organization and bookkeeping, don’t choose a project that requires lots of paperwork. Instead, choose something that works with your strengths and avoids having you spend all your time working in areas you hate. If your business requires you to work in your area of weakness, plan to hire someone from the start to help you. You can start a tea company with as little as a few hundred dollars if you plan to work from home. 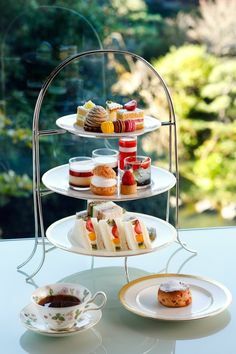 If you plan to open a tea room or tea shop, you may need several hundred thousand dollars. Consider the cost and the overall investment and remember you can grow from one thing into another. Don’t over invest and get yourself into trouble. Don’t expect to make thousands of dollars in profit overnight. Set reasonable expectations and be ready to work and wait. Owning a business is a lot like fishing. You have to get out there, day after day, and put the nets in the water. Somedays are good. Somedays are bad. – Plan from the beginning that your business will take time to grow. Set reasonable goals for three months, six months, one year and more. Don’t set yourself up for failure. Instead, remember you are on a journey, not an instant elevator. – Keep going and don’t sit down. Owning a business is a maze of challenges you must learn to navigate. If things get hard, find a way to work around the immediate problem and always move forward. – What makes one tea business work while another fails? Consistency. Always be consistent in your policies, attitudes, service and product. Believe it or not, it will pay off in the end. – Offering 100’s of teas when you are first getting started will only lead to disappointment. Focus on a few things you love and sell those. If you don’t love it, you can’t sell it. Find your passion and share that portion of your tea journey. The rest of the products will come in time. – Just because you love a product doesn’t mean your audience will. Evaluate what people NEED. What is their greatest problem and how can you provide the answer? If your area is filled with senior citizens, then health may be their biggest concern. so, focus on green teas and other health-promoting tea items. If your area is filled with busy moms, sell tea products that make brewing great tea quick and easy. Get the picture? Look at your marketplace and provide an answer to a problem. Remember, there are coffee people, and then there are those who drink tea. For tea drinkers, this liquid leaf is more than a beverage; it’s a revolution. With it comes infinite possibilities built upon centuries of tradition and hope. As a passionate tea drinker, you may have dreamed of opening a tea related company. If so, you are not alone. The tea industry is growing at an astounding rate all over the globe and now is the perfect time to get involved. Starting a tea business may be the perfect way to change your life for the better.